This Feather and Fan Rainbow baby blanket is just gorgeous. The colors choice and the pattern for this Feather and Fan wavy striped baby blanket in pastel colors are absolutely stunning. The clever use of color and a little tweaking gives a traditional design a completely fresh, new effect and look. This is one of the most delicate knitting pieces I haven’t seen for a while. 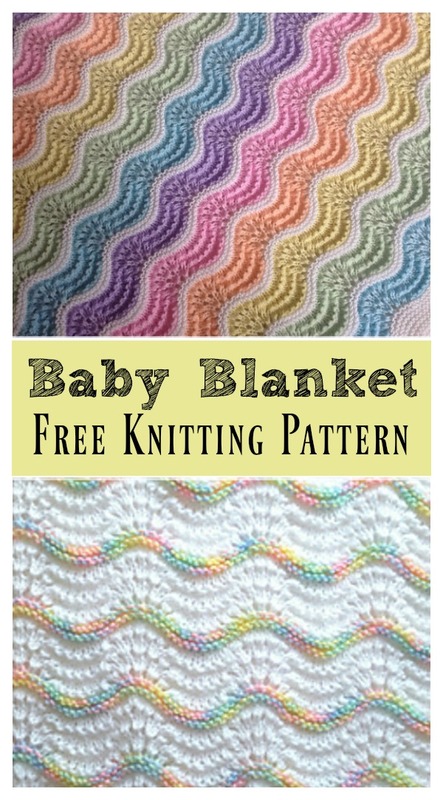 This Baby Blanket Free Knitting Pattern has instructions for basic feather and fan as well as blanket. You can also customize your own version of baby blanket. Thanks Stitchylinda Designs and The Knitorious Mrs B for sharing these free patterns. The links for the free patterns are provided below photos. Have fun.